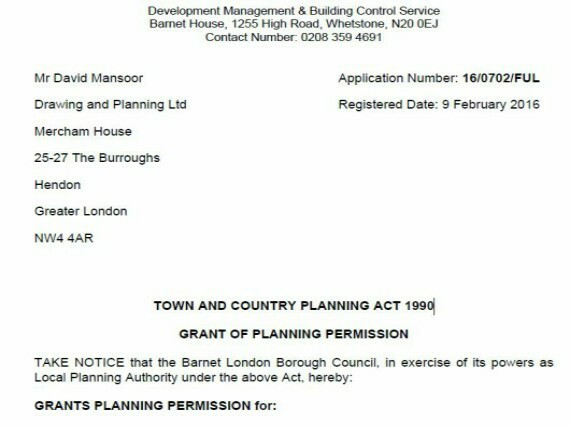 Drawing and Planning have successfully secured a Planning Permission for creation of 4no. self-contained residential units with provisions for parking and amenity space following the demolition of the existing single storey garages. Two storey front extension involving the first and second floors. Two storey side extension and construction of third floor. Associated external alterations and hard and soft landscaping. PROJECT Creation of 4no. self-contained residential units with provisions for parking and amenity space following the demolition of the existing single storey garages. Two storey front extension involving the first and second floors. Two storey side extension and construction of third floor. Associated external alterations and hard and soft landscaping.